I have no idea what you are doing or where you are reborn. Nine long years have passed by since you left this world but I still often find myself missing you badly here on Earth. 11th September 2005 was the saddest day of my life. I had never thought that you would leave me so soon. You know we had a lot of dreams at hand yet to be materialized. The kind of world we had imagined to live in after I get a job was not too far from us, but what an untimely tragedy befell us. After having gone through several hardships together in life, it’s very sad that I had to let you go even before I was able to pay you back for everything you did for me as a father, protector and teacher. I woke up at 5 o’clock this morning to join you in spirit on this auspicious day of your 9th death anniversary. I took leave from office to dedicate this day fully to you and be with you. 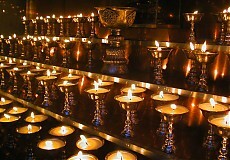 I went to Dechenphug Lhakhang to offer butter lamps and prayers for your eternal peace. I am sure you might have heard my prayers and wishes. I am sorry that’s the only thing your poor son can do now. As I observe this day in silence, the pain of that fateful day seems to have come back to surface once again. I am very sorry, father, that I could not be there beside you when you were fighting for life in Samtse hospital. I am sorry that I could not answer you when you called out my name several times before you went to coma. It’s my greatest regret that I could not even serve you a cup of hot water when you were in the hospital. I was attending the National Graduates Orientation Programme at that time and I and my wife had planned to see you just in a day or two. We had even bought some nice cloths for you but we could never see you wear them. I had badly wanted to see you but financial constraints and other unfavourable circumstances did not let me leave Thimphu to come down to see you on time. Now that your soul has become one with God, everything must be clear to you. Kindly accept my sincere apologies and prayers for any failure on my part to fulfill the duties of a son! Today, I feel lonely and sad without you in my family. I wish if you were still alive to play with your grandchildren, tell them bed-time stories as you used to tell me when I was a boy, and teach them good values as you did to me before. If you were still with us, I am sure you would be proud of your two grandsons, Thukten Subba and Rigden Subba. Thukten was born 9 months after you left this world and Rigden was born four years after him. Thukten now goes to school and studies in grade II, while Rigden is just 4-years-old. He too will go to school in 2 years’ time. I have also a daughter whom we have adopted since she was barely 2 and they are all doing well. But it’s sad that none of them could ever get a chance to hold your hands, sit on your lap and listen to your stories or play with you like their other friends who still have their grandfather. 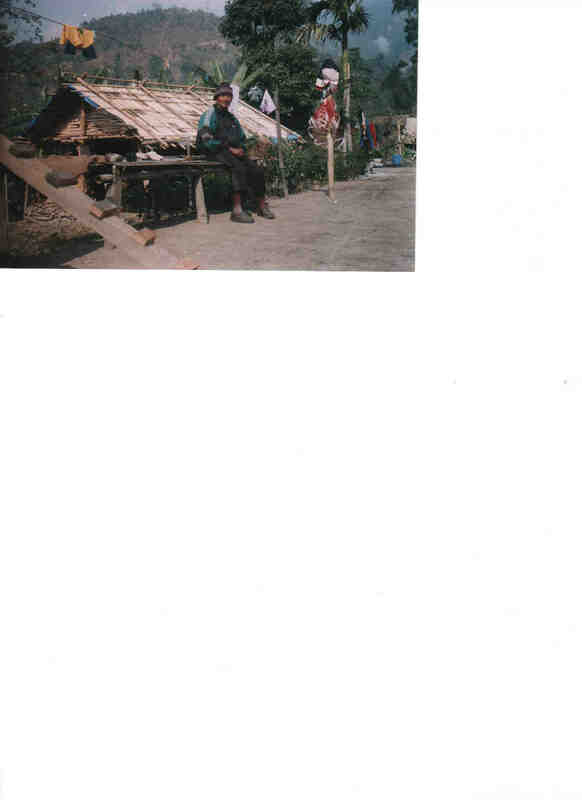 A single photograph of yours given to us by my uncle in Pasakha is the only thing we can show our kids to introduce you to them. I am sure they would have been very happy to be with you. Dad, I know that you waited patiently for years for me to get a decent job so that we could live together, but why God was so unfair to call you away just when our dream was just at our doorstep. If you could have waited for just one more year, our life-long dream would have been accomplished. We suffered equal hardships while living in Samtse, and we often cried together sharing our experiences at the end of the day. I know I was your only consolation during those days and the kind of life we had imagined for ourselves after I get a job was a long-awaited dream but it’s sad that it could never come true. Despite all the difficult times we passed through, you had been my great teacher, protector and a loving father. I have learned a great deal from you and I am always grateful for your sacrifices and compromises for me. You helped me shape my world and gave me strengths to stand on my own feet. I know you were my both father and mother because after my mother died when I was a child, I grew up solely at your hands. You guided me whenever I tumbled upon some problems and you showed me the right path of life. You had been my main source of inspiration, courage and social security. You taught me how to compete with others and you taught me why and how to excel in studies. I kept your words and I did fairly well in my studies right from my primary school up to the university level. You also taught me why not to easily trust people, and how to value friendships. You have also taught me how to interpret dreams and many other things which I might have not been able to explore on my own. So although you are dead and gone, father, the values and knowledge you have given me still flow in my blood and I will try to pass them on to your grandchildren too. We, as a family, are doing everything that could make you proud. Your rich legacies shall never die. I miss you so much, Dad, and I love you. May God reunite us once again someday on a new journey! Amrith sir, your father would be really proud with you and your family. Posthumous tribute that you pay and offering of butter lamps, you are doing great in deed. It is a touching letter and your father would still hear you. Thanks. Really, your father would have been so proud of you at this stage after so much of struggle. Its a touching story. Wish you all success in life! You are lucky to have each other.. your father has done extremely well as a parent to raise a person like yourself. Those legacy he has given were far more important that any other material legacy one can give. Now you have three beautiful children that will continue your father's values and love. Yes Nuri, you are right. Thanks for your comment. When I was 11, my father died. When each Father's Day, birthday & death anniversary came, I would find myself depressed and wondering why other kids still had fathers while I lost mine. Losing your father can be devastating, especially if he represent so many things. But we have to move forward and let go of the things were holding back it will never easy but yes their all correct, your father would have been so proud of you and I know that your father represents as you as his son. Thank you for this touching story you've shared. I wish you happiness and success all throughout. Thank you so much for your nice words. It's really comforting. Yes, the pain of losing somebody whom you had loved so dearly is unimaginable. Once again, thank you for sharing my feelings by relating my situation to your own experience. I have gone through your writing and really touched my heart. I also faced similar situation. We seem to be in similar shoe. I almost drown in deep depression. Had I not met a kind monk who pulled me out of that dark world of depression. Let me share what this wise monk said to me. That simple but profound teaching had changed my life. I understood why Buddha said all sentient beings are our mothers. More I contemplate on this principle, more optimistic and compassionate person I become. Well, I always remember and pray for my late father’s wellbeing along with other sentient beings. But most important I learnt to live mindfully with aspiration to help all sentient beings who have been as loving, caring and sacrificed like my late father, if not more than him. Dear Lebey Namgay, I strongly agree with you la. I also consider myself a devoted Buddhist and I believe in all the teachings of Lord Buddha. It's great to know that u have learned the art of living mindfully. I like the way u look at life: very positive and optimistic. Please keep up the same spirit la. And thank u so much for such a wonderful and meaningful comment. He must b so proud of u now wherever he is.what a great job he did in raising another great man like urself.